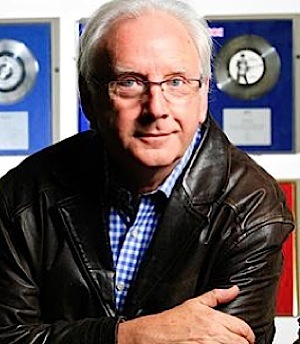 ❚ HALF OF ALL PEOPLE WHO know who Pete Waterman is regard him as a genius. Or they did, until today’s outburst on BBC radio when he wrote off two decades of pop music. “It’s never been worse,” he harrumphed over breakfast on R4’s Today show, hinting at some insidious infection. His detractors have always condemned him as the schlock-meister who bulldozed the freshness of early 80s pop into oblivion by churning out some of the crassest tunes of the decade. Waterman’s personal claim is to have created 22 UK number one singles, but the former apprentice electrician and club deejay is best-known as the founder of SAW, the Stock Aitken Waterman songwriting and production hit factory that put 100 singles into the UK top 40 chart and sold 40m records in a formulaic mix of Hi-NRG and Eurobeat (think Rick Astley, Jason Donovan, Hazell Dean, Mel & Kim, not forgetting Kylie). Immediately before impresario Simon Cowell stepped fully formed from the egg, Waterman left no less of an imprint on the British music scene through a strategy that skilfully avoided overestimating public taste. What detonated 64-year-old, father-of-four Waterman this morning was the Today show. For no obvious reason it exhumed a survey from last month’s issue of The Word music magazine which had generated newspaper headlines in December by calculating that 60 per cent of current chart pop and rock acts must be middle class because they went to what we Brits paradoxically term “public” schools (meaning posh fee-paying private schools), compared with 20 per cent ten years ago. On average, fewer than a tenth of Brits attend fee-paying schools. Examples cited were Lily Allen who boarded at Bedales, Grammy nominee Florence Welch from Alleyn’s School, the Nu-Folkies Mumford & Sons from King’s College School, and the not exactly current Coldplay’s Chris Martin from Sherborne, and Radiohead all ex-Abingdon. Bah humbug. Light blue touchpaper and off Pete goes, whizz-bang. “This has been a gripe I’ve had for over 20 years, and particularly right now. It’s never been worse,” he blasted. ➢ How pop went posh — Will Hodgkinson front-paged the topic on the arts section of The Times, August 13, 2010 … Adds the ex-Rugby Horrors to the list of public-school suspects, along with Foals (Abingdon). “One of the reasons all these bands are emerging is because public schools have such great facilities,” says old Etonian Tom Bridgewater, MD at Loose Music. The Times tenuously lists the “Top schools of rock” as Abingdon (Radiohead), Bedales (Patrick Wolf), Eton (James Blunt), Marlborough (Chris de Burgh — Is he the latest Marlborough can offer? ), Westminster (Mika), plus the free state-funded city college, The Brit School in Croydon (Amy Winehouse). ❚ Pete Waterman made one of the most inspirational guests on Desert Island Discs in 1995 by expressing real erudition about his industry and popular culture. In a model lesson that was worthy of the Open University, he explained how pop music worked. And he identified the three best groups in music history who defined the essence of pop: The Beatles, The Beach Boys and, unexpectedly but rightly, Abba. This entry was posted in Media, Pop music, Social trends, Youth culture and tagged 2011, Florence Welch, Interview, Lily Allen, Pete Waterman, posh pop, Stock Aitken Waterman, The Word, Today programme, UK charts. Bookmark the permalink.